What to do with this Man.? Rahul’s image problem is something that won’t go away easily.! In a jibe at Prime Minister Narendra Modi, Congress vice-president Rahul Gandhi cited yoga to highlight his point. 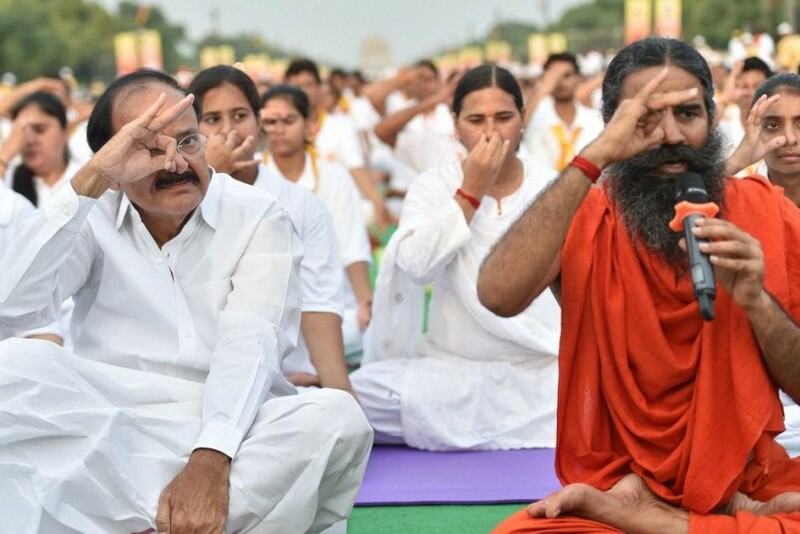 He stated that on Yoga Day he saw the PM perform different asanas but was surprised by the latter’s inability to do the basic padmasana properly. “I’ve done some yoga. 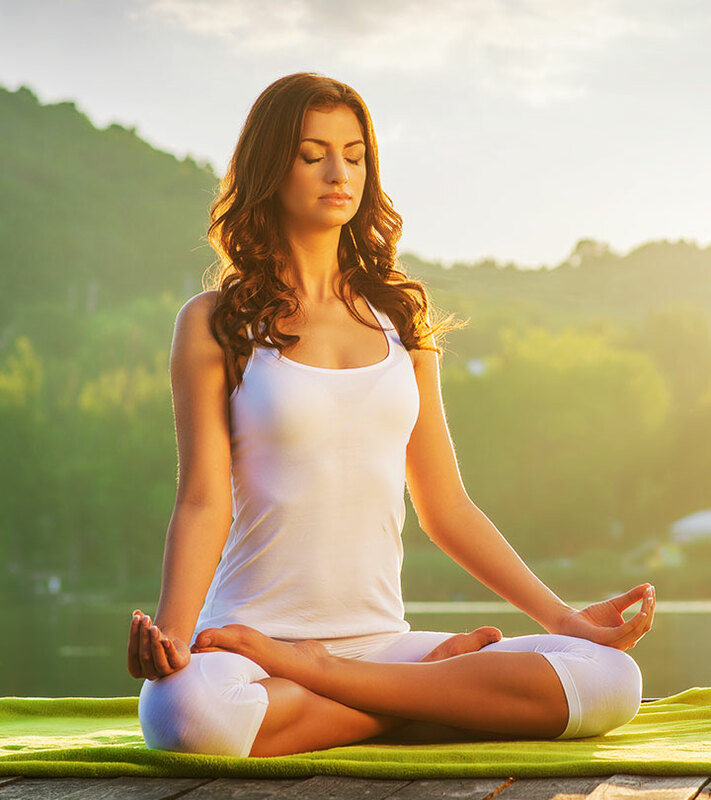 Admittedly, I’m not very good at it, but my yoga guru used to tell me that if you practise yoga regularly, you can very easily do the padmasana. The converse though isn’t true. 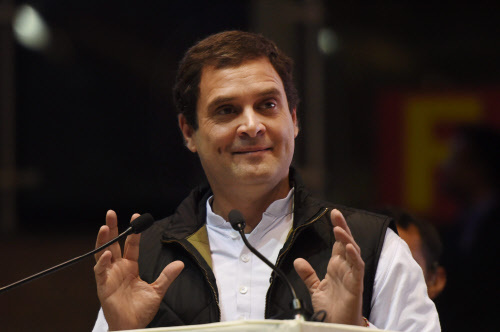 Anyone who doesn’t do yoga regularly can’t do the padmasana,” Rahul elaborated. Rahul’s larger point was that Modi is insincere in his efforts. That the PM says he wants to transform the nation, but ends up failing to get even the basics right. First of all, as far as Rahul metaphors go, one must admit that this one isn’t too bad. Coming at a time when the government’s demonetisation exercise has been questioned by several quarters – both domestically and from abroad – the yoga metaphor of having the right intention but not being able to do a basic asana fits perfectly. After all, the growing consensus is that demonetisation may have been a good idea, but it was executed poorly and without proper planning. In fact, this is a recurrent trope with this government. It wants to have bullet trains but can’t seem to prevent railway accidents due to poor track maintenance. It wants to provide the armed forces with state-of-art weaponry but can’t seem to be able to supply proper rations to the jawans. It wants a Blue Water navy, but has warships keeling over in its dockyards. It wants a digital economy, but is yet to ensure 24×7 uninterrupted power supply to each and every village in the country. Thus, Rahul’s padmasana jibe sticks well. That said, the thing with Rahul is that he suffers from an image problem. The “pappu” tag continues to dog him. Hence, anything he says, even if sensible, doesn’t have the intended impact. His critics can simply call him “pappu” to undermine his point and divert attention from the content of his speech. In fact, this is even reflected in popular political cartoons where he is usually depicted as a clueless adolescent. 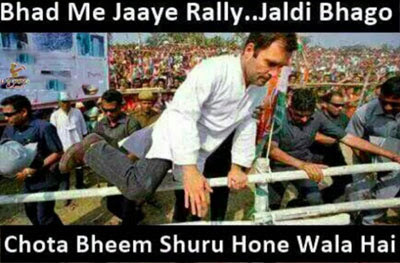 But to get out of this image problem, Rahul must persevere. If he continues to make intelligent statements, irrespective of the criticism, there will come a time when people will start taking him seriously. But for that to happen he needs to be consistent and on point. And over a period time people themselves will get tired of the pappu trope and change their perception about Rahul. When or if that will happen is something that’s entirely up to Rahul himself. DISCLAIMER: - I’m sure that these all funny memes will make you laugh. Here one thing i wanna tell you that THERANDOMLESSON doesn’t want to hurt the feeling of anyone. It is just for fun. बदलती लाइफस्टाइल से हो सकता है स्तन कैंसर , ऐसे करें बचाव ! Attention..! Attention..!! भारत में महिलाओं में कैंसर के मामलों में 27 प्रतिशत मामले स्तन कैंसर के हैं. इस तरह की परेशानी 30 वर्ष की उम्र के शुरुआती वर्षो में होती है, जो आगे चलकर 50 से 64 वर्ष की उम्र में भी हो सकती है. स्तन कैंसर के कुछ लक्षणों में स्तन या बगल में गांठ बन जाना, स्तन के निप्पल से खून आना, स्तन की त्वचा पर नारंगी धब्बे पड़ना, स्तन में दर्द होना, गले या बगल में लिम्फ नोड्स के कारण सूजन होना आदि प्रमुख हैं. आंकड़ों के मुताबिक, 28 में से किसी एक महिला को जीवनकाल में कभी न कभी स्तन कैंसर होने का अंदेशा रहता है. इंडियन मेडिकल एसोसिएशन (आईएमए) के मुताबिक, भारतीय महिलाओं में छोटी उम्र में ही स्तन कैंसर होने लगा है. जागरूकता की कमी और रोग की पहचान में देरी के चलते उपचार में कठिनाई भी आती है. स्तन कैंसर में इस रोग के ऊतक या टिश्यू स्तन के अंदर विकसित होते हैं. इस रोग होने के पीछे जो कारक हैं, उनमें प्रमुख हैं- जीन की बनावट, पर्यावरण और दोषपूर्ण जीवनशैली. बचाव के लिए जरूरी है कि 30 वर्ष से अधिक आयु की महिलाओं की स्क्रीनिंग आवश्यक रूप से की जाए. साथ ही जीवनशैली में भी कुछ बदलाव किए जाएं तो इस रोग की आशंका कम की जा सकती है. आईएमए के अध्यक्ष पद्मश्री डॉ. के.के. अग्रवाल ने कहा, "यह ज्ञात हो चुका है कि डीएनए में अचानक से होने वाले परिवर्तनों के कारण सामान्य स्तन कोशिकाओं में कैंसर हो जाता है. यद्यपि इनमें से कुछ परिवर्तन तो माता-पिता से मिलते हैं, लेकिन बाकी ऐसे परिवर्तन जीवन में खुद ही प्राप्त होते हैं. प्रोटोओंकोजीन्स की मदद से ये कोशिकाएं बढ़ती ताजी हैं. जब इन कोशिकाओं में म्यूटेशन या उत्परिवर्तन होता है, तब ये कैंसर कोशिकाएं बेरोकटोक बढ़ती जाती हैं. ऐसे उत्परिवर्तन को ओंकोजीन के रूप में जाना जाता है. एक अनियंत्रित कोशिका वृद्धि कैंसर का कारण बन सकती है. बीआरसीए1 और बीआरसीए2 जीन में उत्परिवर्तन होते हैं. माता-पिता से उत्परिवर्तित जीन से स्तन कैंसर का जोखिम अधिक होता है. उच्च जोखिम वाली महिलाओं को हर साल एमआरआई और मैमोग्राम कराना चाहिए." डॉ. अग्रवाल ने कहा, "एस्ट्रोजेन स्तन ग्रंथियों के ऊतकों के विभाजन को तीव्र करता है. किसी महिला में यदि लंबे समय तक एस्ट्रोजेन अधिक रहता है, तो स्तन कैंसर का खतरा बढ़ा रहता है. यदि 11 वर्ष की आयु या उससे पहले ही मासिक धर्म शुरू हो जाए या 55 वर्ष या उससे अधिक उम्र में रजोनिवृत्ति हो तो माना जाता है कि एस्ट्रोजेन का एक्सपोजर अधिक है. महिलाओं को 45 वर्ष से 54 वर्ष की उम्र तक हर साल एक बार स्क्रीनिंग मैमोग्राम करा लेना चाहिए. 55 वर्ष या अधिक उम्र की महिलाओं को सालाना स्क्रीनिंग करानी चाहिए." शराब का सेवन कम करें : शराब से स्तन कैंसर होने का खतरा बढ़ जाता है. यदि आदी हों तो दिन में एक पैग से अधिक न लें, क्योंकि शराब की कम मात्रा से भी खतरा रहता है. धूम्रपान से बचें : अनुसंधान बताता है कि धूम्रपान और स्तन कैंसर के बीच एक संबंध है. इसलिए, यह आदत छोड़ने में ही भलाई है. शरीर का वजन काबू में रखें : सक्रिय जीवन जीएं. अधिक वजन या मोटापे से स्तन कैंसर का खतरा बढ़ जाता है. रोजाना लगभग 30 मिनट व्यायाम अवश्य करें. स्तनपान : स्तनपान कराने से स्तन कैंसर की रोकथाम होती है. हार्मोन थेरेपी को कम करें : हार्मोन थेरेपी की अवधि तीन से पांच साल तक होने पर स्तन कैंसर का खतरा बढ़ जाता है. सबसे कम खुराक का प्रयोग करें जो आपके लिए प्रभावी है. आप कितना हारमोन लेते हैं इसकी निगरानी डॉक्टर खुद करे तो बेहतर होगा. स्वस्थ आहार लें : फलों और सब्जियों से समृद्ध, संपूर्ण अनाज और कम वसा वाला आहार लें. तनाव से बचें : यह प्रतिरक्षा को कमजोर करता है और शरीर के रक्षा तंत्र को बिगाड़ता है. योग अभ्यास, गहरी सांस लेने और व्यायामक रने से लाभ होता है. Friends, if you like this article, plz share it with your friends, loved ones. 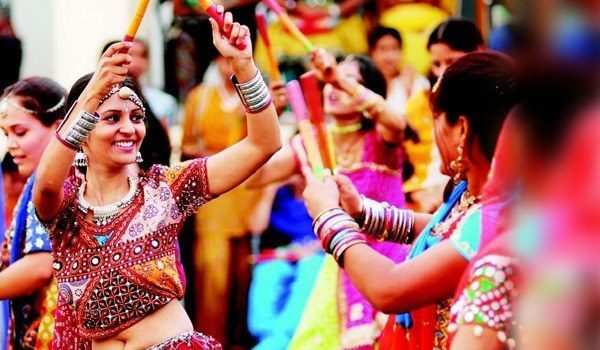 Know why eating onion and garlic is a big no-no during Navratri..! 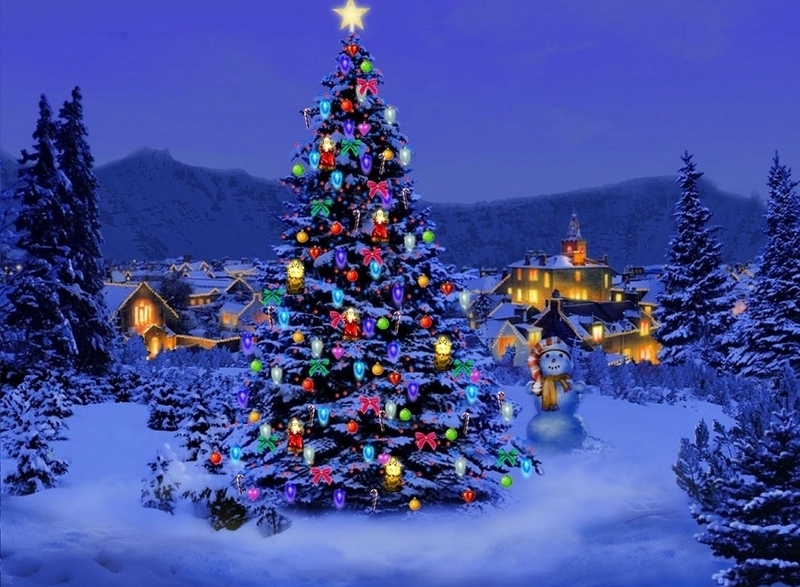 Hey Friends, the season of festival is here. 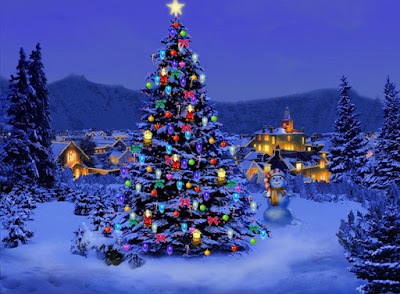 i hope u all are having great fun and masti. Indian festival are full of colors, joy, foods, specially sweets. we all love that..! but there is something more. Many people remain on fast during these festival. thats actually a way of self cleaning, cleansing of body and mind and soul. they abstain from slat, some abstain from spicy food, some remain on nimbu pani, while some go on a complete fast. But do you know, Each and every devotee who celebrates the festival of Navratri (durgapuja) will never eat or even touch onion or garlic during the nine-day-long celebrations. Families observing fast or even otherwise avoid onion and garlic preparations during the festival but hardly know the reason behind this prohibition. if you are from India, you may be knowing this But people who are not from India, barely know this. here is the reason why they do so..! If you are amongst those curious souls who are still wondering why is onion and garlic is barred during the nine days of Navratri, we are here to answer. In Hinduism, all the food items have been catergorised into three parts which are Rajasic, Tamasic and Sattvik bhojan. It is believed that Sattvik food items are the ones that provide spiritual advancement. All vegetarian food items, with few as exceptions, are Saatvik in nature. Sattvic diet gives importance to seasonal foods, fruits, dairy products, nuts, seeds, oils, ripe vegetables, legumes, whole grains, and non-meat based proteins. Rajasic food items, on the other hand, have a stimulating effect on body and mind. It has neither positive or negative impact on the body. Food that harms the mind or body is considered to Tamasic in nature. It is believed to cause mental dullness. Since onion and garlic are classified as Tamasic in nature, they are prohibited during the nine-day-long holy festival. 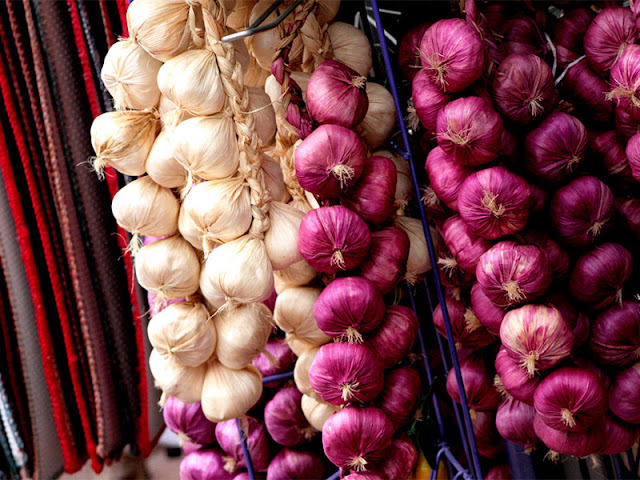 So, we hope now you know what makes onion and garlic an untouchable item during the festivity. 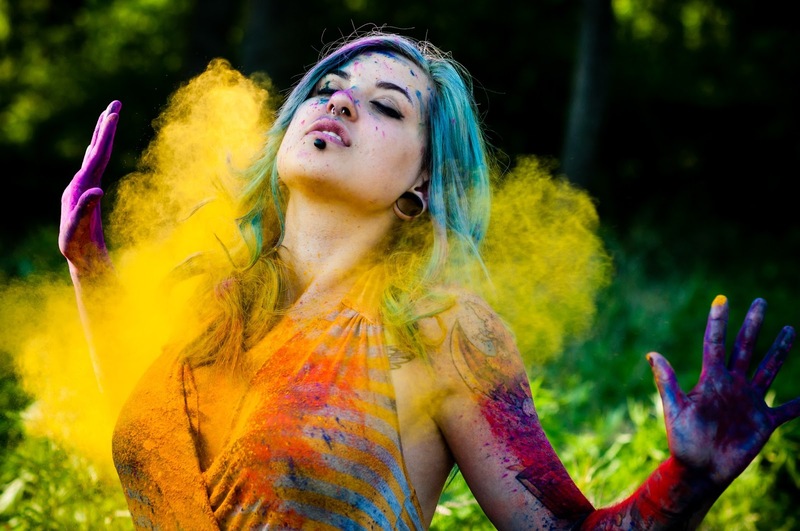 hey friends, if you like this article , plz plz share with your friends. and if you need to ask anything or tell us anything about anything, comment below. JioPhone comes with many ifs and buts, Top 10 points to keep in mind Before you Buy a Jiophone..! According to Jio, the JioPhone is now reaching people. Although, it is reaching people in smaller and rural India towns first so that is why you may not have got it, or may not know anyone right now who has got it. This is all according to Jio. But the company also says that in the next two weeks, it hopes to ship out at least 6 million JioPhone units, so if you have pre-booked it in August, you should get it soon enough. Hopefully. Now, once you get it, you will have to use it according to Jio's rules. No, you can't put in the Airtel SIM in it. That was pretty clear anyways, but now Jio has updated its terms and conditions for the JioPhone to make a few other important points clear to consumers. So what are the JioPhone terms and conditions? In while, we explain. The telecom company has updated its terms and conditions page and it is sure to give an uneasiness to many potential JioPhone buyers. 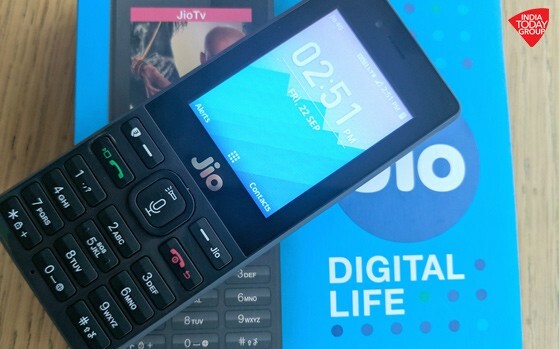 The company has revealed that it may repossess the JioPhone if theÂ user fails to recharge the phone for a minimum value of Rs 1500 per annum for 3 years. The company would also levy 'early return charges' if the phone is returned within 3 years. But let's take it one by one. 1. The JioPhone comes with "early return" charges. This means buyer should expect the full-refund of the security deposit only after the completion of 36 months. User will be given 3-months window to hand over the phone to the company. The company states that the phone should be returned "on or after the expiry of thirty six months but before the expiry of thirty nine months from the date of first issue." 2. 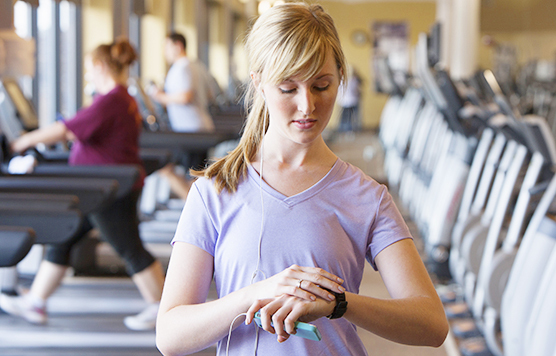 The security deposit would be forfeited if the phone is not returned within the 3-month window. "The Refundable Deposit shall stand forfeited on the expiry of the Return Period without any further notice to the Recipient," says the company. 3. JioPhone is locked to the Jio network which means only a Jio SIM in the phone and not any Airtel or Vodafone SIM. However, India Today Tech has learn that the JioPhone will not be locked to any particular Jio number as of now. This means that you can use any Jio SIM in the JioPhone. However, the company has also hinted that it may lock the phone to a particular number in future. 4. You won't be given any refund if you return your JioPhone within 12 months from the date of issuance of the phone. You'll be charged Rs 1000 plus applicable GST or other taxes if you return the phone after 12 months and before 24 months. 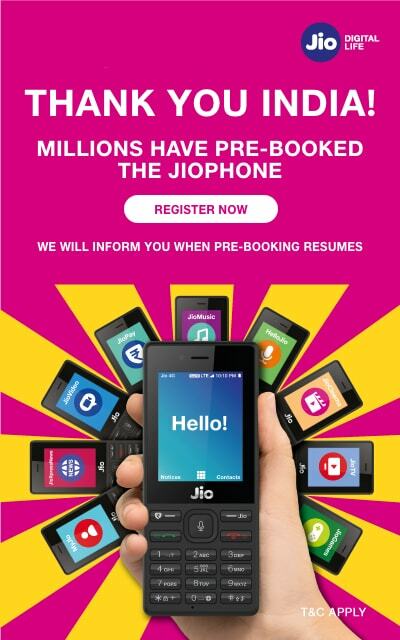 It is Rs 500 if you after 24 months and up to 36 months from the date of first issue of the JioPhone. 5. The company says that returning the JioPhone does not cancel the recipient's service contract with the Jio. This means that you can continue using the Jio SIM that came along with the JioPhone. 6. Jio holds the right to repossess your JioPhone if you fail to recharge your number with a minimum value of Rs 1500 per annum for 3 years. This means that you have to spend a total of at least Rs 4500 on the JioPhone to use it. 7. Reliance Retail (RRL), which will sell Jio Phone, will have access to the device's "precise geo-location and other information related to your location on a regular basis through Bluetooth and Wi-Fi signals, calendar entries and other technologies and data." 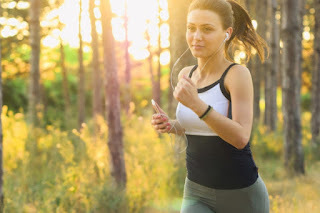 It seems that user consent will not be sought to collect this data when the person is using the device and there will be no way to turn off the tracking. 8. In case the JioPhone is repossessed by the company for not recharging with the stipulated amount as stated by the company, the user will also have to pay the early return charges. Also, users can't sell the JioPhone to someone else. 9. In case of repossession, users will be liable to pay the early return charges as set by the company. 10. Jio says that while returning the device, the users will have to ensure that the JioPhone is in working condition, undamaged, and doesn't have any user data on it. अगला Article शुरु करने से पहले..हम आपको 1975 में रिलीज़ हुई हिंदी फिल्म.. शोले का एक Dialogue सुनाना चाहते हैं. फिल्म शोले में गब्बर ने कहा था कि जब तक तेरे पैर चलेंगे.. तब तक उसकी सांस चलेंगी लेकिन The Lancet की एक नयी Study ने इस Dialogue में थोड़ा संशोधन कर दिया है. Study के मुताबिक जब तक आपके पैर चलेंगे तब तक आपकी सांसें चलेगी और आप सेहतमंद रहेंगे. अगर आप Aerobics नहीं करना चाहते है तो Gym में Workout कर सकते हैं..अगर समय की कमी है तो Office.. पैदल जा सकते हैं. अगर ये भी नहीं कर सकते तो घर के छोटे-मोटे काम खुद करना शुरू कर दें. जैसे - घर की सफाई, कार की सफाई या अपने पालतू जानवर को घुमाना. छोटी- छोटी आदतों को बदलकर आप अपनी सेहत में एक बड़ा बदलाव कर सकते हैं . इस स्टडी में 17 देशों के 1 लाख 70 हज़ार लोगों को शामिल किया गया जिनमें से 24 हज़ार लोग भारतीय थे. अक्सर ये कहा जाता है कि भारत के पास युवा शक्ति का भंडार है.. यहां 65 प्रतिशत आबादी 18 से 35 वर्ष के युवाओं की हैं. 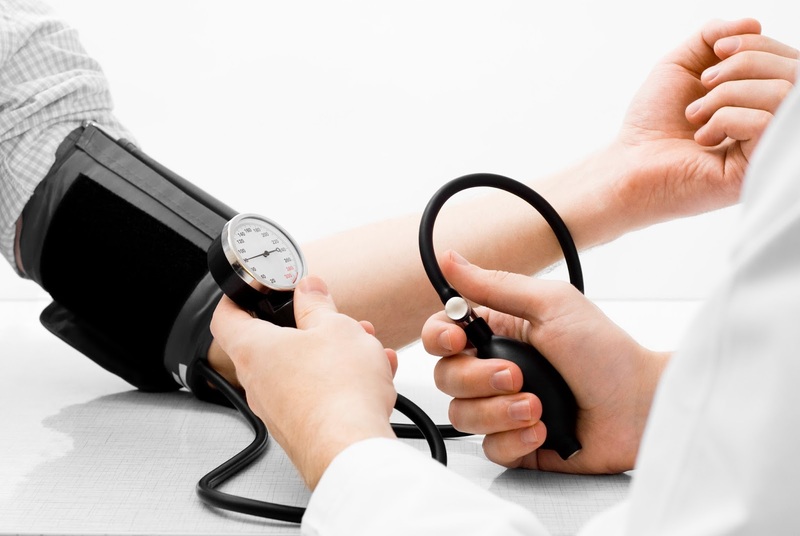 लेकिन दुख की बात ये है कि देश के ज़्यादातर युवा Hypertension यानी Blood Pressure के मरीज़ बन रहे हैं. एक स्टडी के मुताबिक भारत में करीब 7 करोड़ से ज़्यादा युवा... हाई ब्लड प्रेशर के मरीज है. हाई ब्लड प्रेशर दिल की बीमारियों का एक मुख्य कारण हैं..इसलिए भारत में करीब 3 करोड़ लोग दिल की बीमारियों से पीड़ित हैं. 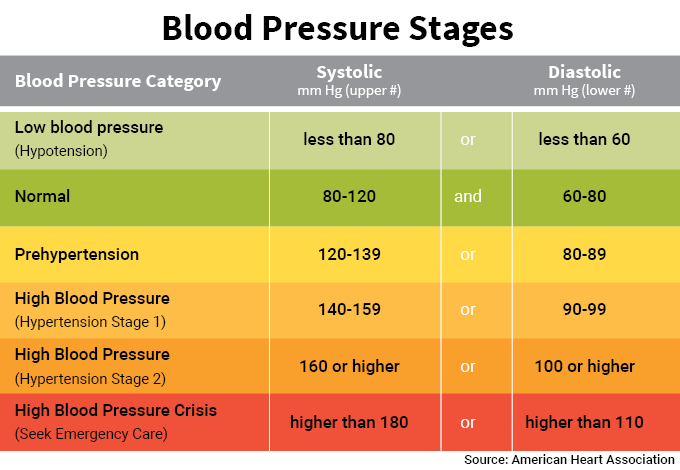 वर्ष 2015 में करीब 2 लाख 60 हज़ार लोगों की मौत की मुख्य वजह Hypertension था. देश के सबसे बड़े अस्पताल AIIMS के नये रिसर्च के मुताबिक पिछले 20 वर्षों में दिल्ली के हर 5 में से 3 युवा High Blood Pressure के शिकार हो चुके हैं. Medical Science में Hypertension यानी ब्लड प्रेशर को एक लाइलाज बीमारी माना जाता है जिसमें मरीज़ को ज़िंदगी भर दवाई खानी पड़ती है.. लेकिन अपनी जीवनशैली में सुधार लाकर.. इस बीमारी से आसानी से बचा जा सकता है. आज की भाग दौड़ भरी जिंदगी में लोग अपने शरीर और स्वास्थ्य का ख्याल नहीं रख पाते हैं और जल्द ही मनुष्य तमाम तरह की बीमारियों से घिर जाता है. डायबिटीज, कैंसर, हाई ब्लप्रेशर जैसी बीमारियां लोगों में आम हो गई हैं. ऐसे में योग गुरू रामदेव ने लंबे समय तक जीवन जीने का फॉर्मूला बताया है. उन्होंने कहा कि मानव शरीर इस तरह बना है कि 100 वर्ष तक चले लेकिन खराब जीवनशैली के चलते यह बीमारी से ग्रस्त हो जाता है जिससे इसका जल्दी अंत हो जाता है. उन्होंने इसका उल्लेख किया कि एक व्यक्ति स्वस्थ रहने के लिए किस तरह से अपनी दिनचर्या और खाने की आदतों को नियंत्रित रख सकता है. उन्होंने दावा किया कि भाजपा अध्यक्ष अमित शाह ने ऐसा करके अपना वजन 38 किलोग्राम कम किया. योग गुरू रामदेव ने शुक्रवार को कहा कि मानव शरीर इस तरह बना है कि 400 वर्ष तक चले लेकिन खराब जीवनशैली के चलते यह बीमारी से ग्रस्त हो जाता है जिससे इसका जल्दी अंत हो जाता है. रामदेव ने लोगों से कहा कि वे स्वस्थ भोजन और व्यायाम अपनाकर स्वयं को बीमारियों और दवाओं से मुक्त करें. उन्होंने 12वें ‘नेशनल क्वालिटी कान्क्लेव’ में कहा, ‘‘मानव शरीर इस तरह से बना है कि वह 400 वर्ष चले लेकिन हम अधिक भोजन एवं जीवन शैली से अपने शरीर पर अत्याचार करते हैं. हम उच्च रक्तचाप, हृदय बीमारियों और अन्य बीमारियों को निमंत्रण देते हैं. यह उसके जीवन को कम कर देता है और बाकी दिनों चिकित्सकों और दवाओं पर निर्भर बना देता है.’’ उन्होंने इसका उल्लेख किया कि एक व्यक्ति स्वस्थ रहने के लिए किस तरह से अपनी दिनचर्या और खाने की आदतों को नियंत्रित रख सकता है. उन्होंने दावा किया कि भाजपा अध्यक्ष अमित शाह ने ऐसा करके अपना वजन 38 किलोग्राम कम किया. but plz start doing yoga. and if u like this article,plz share it with your friends. share it on your Facebook page. Hey friends , if you like this article, plz share it .if some days are not mentioned, tell me below in the comment box. Nokia is back with NOKIA 6, But will it be successful in Regaining it's market value, can't say.! There are a lot of phones in the Nokia 6’s price range now, and many of them share the same basic specs. The 6 doesn’t veer too far from the norm. Its 5.5-inch display is large and sharp enough, though not as bright or colorful as a more expensive device. It has 32GB of storage, a slot for a microSD card, and 3GB of RAM. The 1.4GHz Qualcomm Snapdragon 430 processor is adequate for day-to-day use, but push the Nokia 6 hard with a lot of multitasking or gaming and you’ll see it show signs of struggle under the load. Similarly, the battery will last a full day for most people, but more demanding users will probably have to hit the charger in the evening. The Nokia 6’s design also speaks to its budget positioning. It is a metal unibody phone, but the edges are sharp and blocky, and it doesn’t feel particularly polished or refined. The large bezels around the screen and Micro USB charging port give the whole experience a very 2015 vibe. I never expect much from a phone’s camera at this price point, and the 6 doesn’t do anything to change that. The 16-megapixel camera is slow to launch and focus, and while it can take okay photos in good lighting, image quality falls apart in low lighting. a not-insignificant $50 from the price of the phone for Prime members and brings along lock screen ads and Amazon’s suite of apps preinstalled. The 10 preinstalled Amazon apps don’t bother me all that much. I’d be installing Amazon’s shopping app anyway, and if you’re a Prime member, the Photos, Prime Video, and Amazon Music apps are likely to be useful to you. The most interesting thing about the Nokia 6, however, is its branding. To be clear, this is a "Nokia" device in name only: The actual Nokia still exists, but is out of the consumer phone business after a disastrous partnership with Microsoft earlier in the decade. Along with BlackBerry , it is one of the most famous casualties of Apple and Google's rise to dominance in the smartphone market. 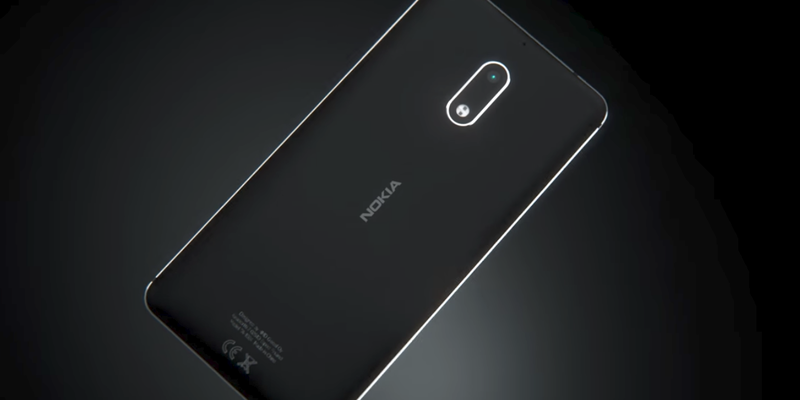 HMD Global, which is headed by former Nokia execs, has steadily launched Nokia-branded phones around the world since acquiring the Nokia name last year. The idea is similar to what Chinese brand TCL has done with BlackBerry : use a once-dominant brand name to point eyeballs toward their own Android phones . Some of those phones, like its remade Nokia 3310 feature phone , have been heavy on the nostalgia. Others, like the Nokia 6 here, look nothing like the colorful, blocky phones of Nokia Lumias past . Either way, the phones aren't likely to be sales smashes: The vast majority of US smartphone shoppers still buy their phones through mobile carriers, and HMD Global is sticking strictly to Amazon here. Beyond that, the phone will only work fully on T-Mobile - AT&T only has partial LTE support, and Verizon and Sprint aren't supported whatsoever. Nevertheless, the Nokia 6 may be worth a look for Android enthusiasts on a budget. where to buy in India. disclaimer: all the spec are taken from google and amazon, we do not guarantee anyrhing, our only moto is to spread the news. if you like this article, plz spead this, share this. thanks. Participating in Swacch Bharat Abhiyaan doesn't mean just to take a broom and clean some dry waste and be happy that you cleaned India. No it's not just that, there is more to it. Swacch Bharat Abhiyaan is a pledge we need to take. 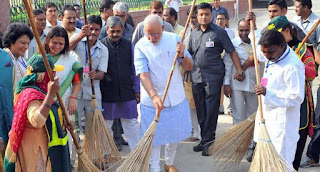 There are very few simple things that we need to do to clean India as a part of this mission. 1) Don't Litter, throw waste in dustbin only. 2) Don't encourage spitting, immediately condemn people if found doing so. 3) Avoid usage of Plastic covers, plastic disposables. Carry a bag with you when you go for shopping, teach the people around you the same. 4) Teach Children about Cleanliness and Sanitation. 5) Plant trees around your house. 6) Separate Dry waste and wet waste in your house, ease the work of municipality workers. 7) If possible join any of the NGOs working in your area towards cleaning of India. If not atleast contribute to it in someway. 8) Avoid personal transport whenever possible. Encourage Car Pooling if you can't avoid. Much better you can use Public transportation. 9) Pool money along with your area mates and install large sized dustbins in the places where littering is done on the road or open place. Well there is still more to it. Some of you might even be wondering, how cleaning will help apart from reducing diseases. The cost that India incurs on cleanliness is as much as Rs 2180 /head annually. i.e more or less Rs 2.4 trillion or $ 53.9 billion and guess what,this calculation in from 2006. In fact the cost of poor hygiene for India would be as much as 6.4% of the GDP. This was just a study, the costs are much higher in real terms; that is if we measure the costs on a purchasing power parity (PPP) basis which takes up the annual costs of poor hygiene to the economy to $ 161 billion or $ 46 per person. 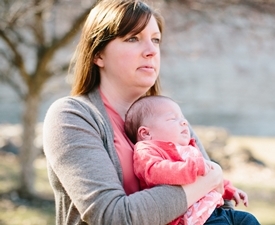 There are other costs involved because of the Infant deaths, higher mortality rates among mothers which is caused by improper sanitation, lets not get into those numbers. 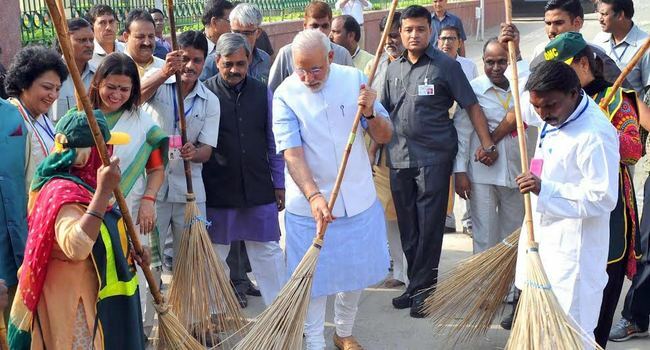 So Swacch Bharat Abhiyaan makes absolute economic sense as it can add 6% to the country’s GDP if we can pull it off. But the big question is whether we can maintain the initial momentum is in a big challenge. This is because cleaning up the country would cost a lot of resources and would require the govt to be involved at all levels. While as suggested above if you all take part in it and wouldn't mind to invest some peanuts of your income we can pull it off in a grand fashion. However Government as well needs to take some more measures than just to rope in celebrities to increase the awareness and participate in campaign. Here are some issues that I think should be addressed as a part of this campaign. Should consider adopting modern techniques in Management of E-Waste. Eliminate the inhumane and age old practice of manual scavenging within a stipulated time frame. 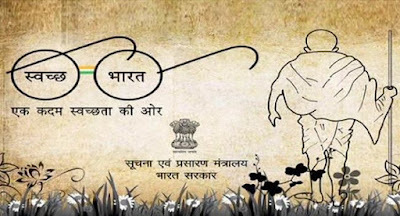 Swacch Bharat abhiyan should focus on human dignity rather than merely on sanitation issues. Like our PM in yesterday's speech in G20 commented that we call the labourer who cleans waste as "Kachrawala" that attitude should go. Technology should be adopted and people concerned people should be trained in the regard. More importantly not just encourage people to clean the surroundings, make it a pledge to do so. Here is the pledge that I have taken. AND PLZ SPREAD THE WORD, SHARE THIS ARTICLE. 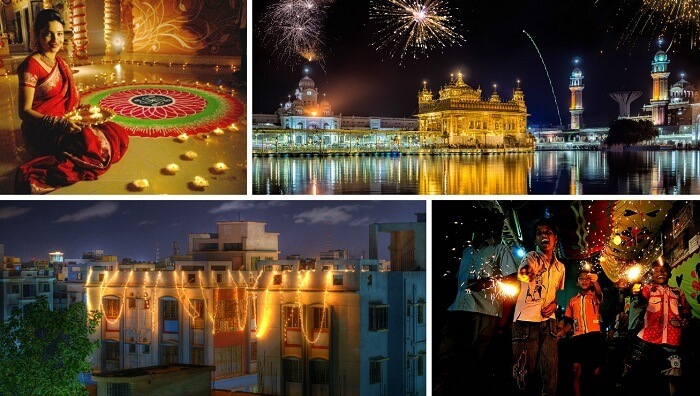 Here is a quick list of the most famous festivals of India. 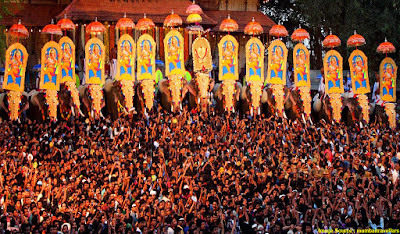 Check them out before you visit the best places of Indian cultural heritage to attend the grand celebrations of these festivals. Vijayadashami, is also among the most famous festivals of India. It is celebrated in different forms countrywide. Ramlila(enactment of scenes from Ramayana) is held everywhere for 10 days. It’s culminated with “ Ravan Dahan” – the burning of huge effigies of Ravana, Meghnath and kumbhakaran which is a real spectacle to see. Janmashtami is again a beautiful one among the most important religious festivals of India. Janmashtami celebrations in Mathura and Vrindavan are very popular. People fast throughout the day and break it with a special meal after dusk. Visiting temples, praying, dancing, and singing bhajans (hymns) at midnight is a part of the celebrations of the birth of Lord Krishna. Often, small children dress up like Lord Krishna on this day. Images and picturization of Krishna’s life story are depicted in the “ jhaankis” in temples. (money or gift) by elders. Cham dance done by the priests to the tune of the traditional music of cymbals, drums, trumpets played by the monks. The dancing priests dress up in elaborate brocade outfits and masks. Kathakali dance, and Pulikali procession(artists dressed and painted like tigers and hunters) are held. Chhath is an ancient Hindu Vedic festival historically native to eastern Uttar Pradesh, North Bihar of India and Mithila State of Nepal. The Chhath Puja is dedicated to the Sun and his wife Usha in order to thank them for bestowing the bounties of life on earth and to request the granting of certain wishes. This festival is observed by Nepalese people and Indian people, along with their diaspora. Chhath puja is performed on Kartika Shukla Shashthi, which is the sixth day of the month of Kartika in the Vikram Samvat. This falls typically in the month of October or November in the Gregorian English Calendar. 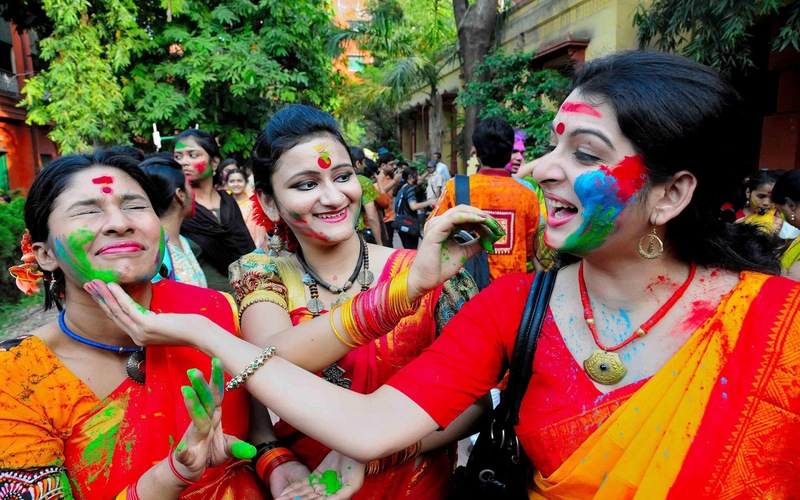 The exact date of the festival is decided by Central division of Janakpurdham in Mithila Region of Nepal which is applicable to worldwide adherents. 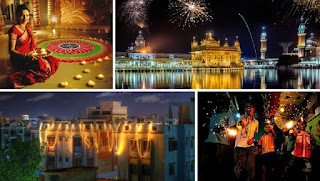 Lohri and Baisakhi in Punjab, Hemis Festival in Kashmir, and Bihu Festival in North East India are among the famous festivals of north India. 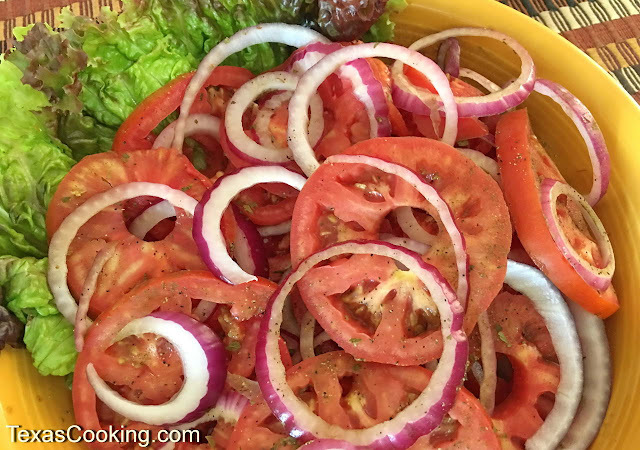 They celebrate the harvest season with dance, music, and lip-smacking food. Other famous festivals of North India, like Teej, Janmashtmi, and Kumbha Mela are religious festivals and nation wide celebrations loaded with traditions and customs of Hindus. Onam and Pongal are the main harvest festivals in South India celebrated in August-September and January respectively. 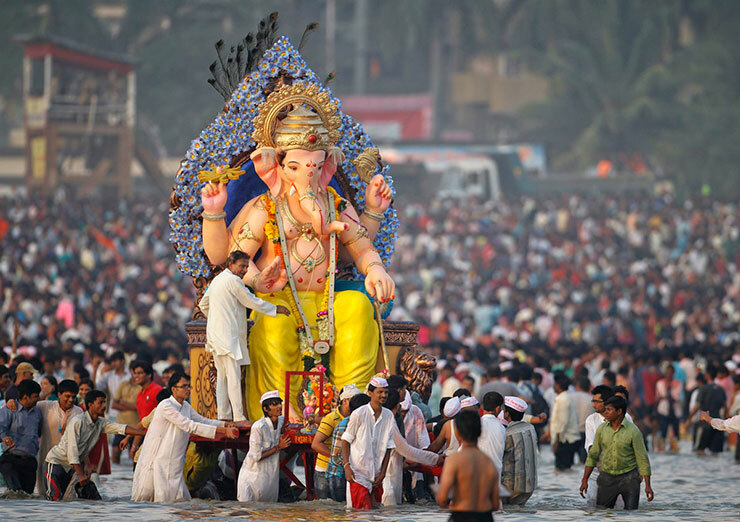 Offering prayers to Hindu deities and family feasts are the highlights of these festivals. 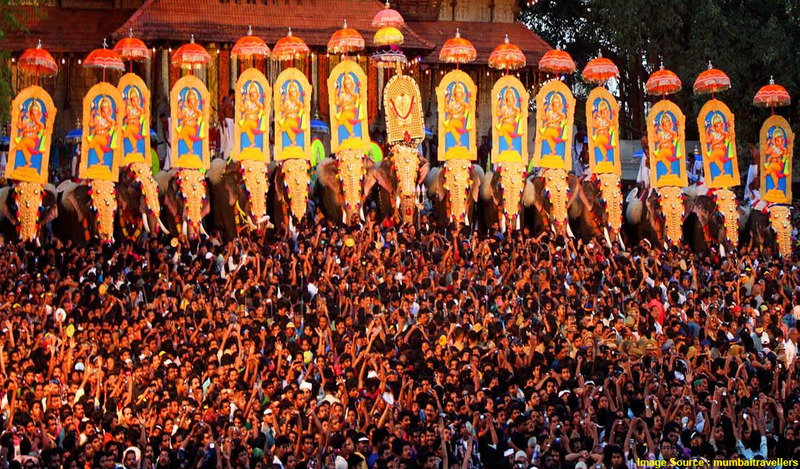 Besides, Nehru Trophy Race in Kerala is a popular festival that sees large audience flocking to see the competition. Another one of famous festivals of South India is the Hampi Festival. It is celebrated in Karnataka and exhibits the essence of culture and history through music, dance, drama, and art. if you like this post , plz share it with your friends..